Philippe Monti began his professional career in 1982 with Banque Paribas, based mainly in Geneva but also in London. He started in the Corporate Finance and M&A Department and was steadily promoted before being appointed Managing Director. During this period, he carried out a large number of deals, ranging from the purchase and sale of enterprises to the engineering of special financing for acquisitions of international companies. In 1992, he joined the Credit Suisse Group where he successfully ran the bank’s activities, first in Valais, then in Geneva. In 2002, he was appointed by Julius Baer, initially to take charge of Private Banking at the Geneva headquarters, then as CEO and head of the bank’s French-speaking markets. In 2006, the Quilvest group gave him the opportunity to direct its Swiss banking structure based in Zurich. 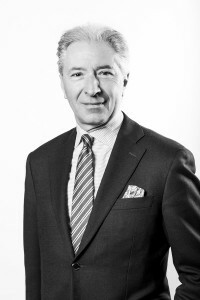 Philippe Monti is still CEO of Quilvest (Switzerland) Ltd. and is also a member of the Executive Committee of Quilvest Wealth Management in Luxembourg. He holds an MBA from HEC Lausanne and followed the Harvard Credit Suisse Group Seminar in 1999, as well as the Stanford Business School Senior Executive Program in 2000.